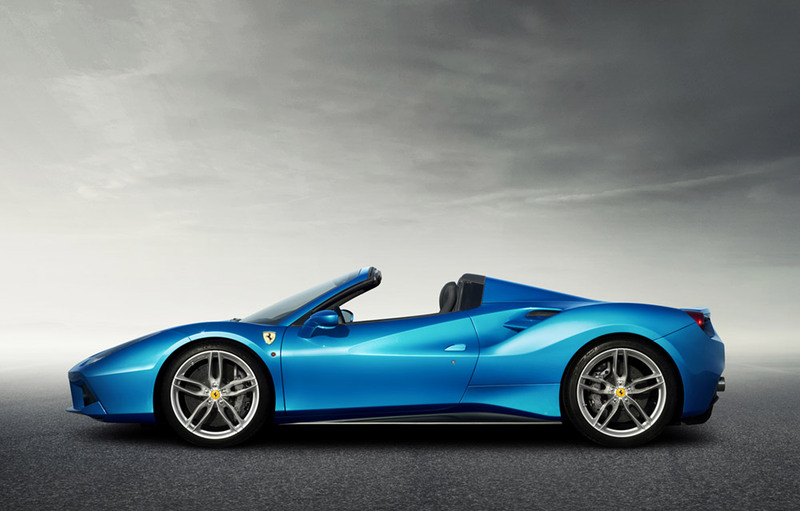 Ferrari announces the launch of the 488 Spider, its most powerful ever mid-rear-engined V8 car to feature the patented retractable hard top along with the highest level of technological innovation and with cutting-edge design. Ferrari was the first manufacturer to introduce the RHT (Retractable Hard Top) on a car of this particular architecture. This solution ensures lower weight (-25 kg) and better cockpit comfort compared to the classic fabric soft-top. Just like all previous spider versions of Ferrari�s models, this is a car that is aimed squarely at clients seeking open-air motoring pleasure in a high-performance sports car with an unmistakable Ferrari engine sound. Every area of the car has been designed to set new technological benchmarks for the sector: from the aluminium spaceframe chassis and bodyshell to the new turbo-charged V8, aerodynamics that reconcile the need for greater downforce with reduced drag along with the specific cabin air flow demands of an open-top car, and vehicle dynamics that render it fast, agile and instantly responsive. 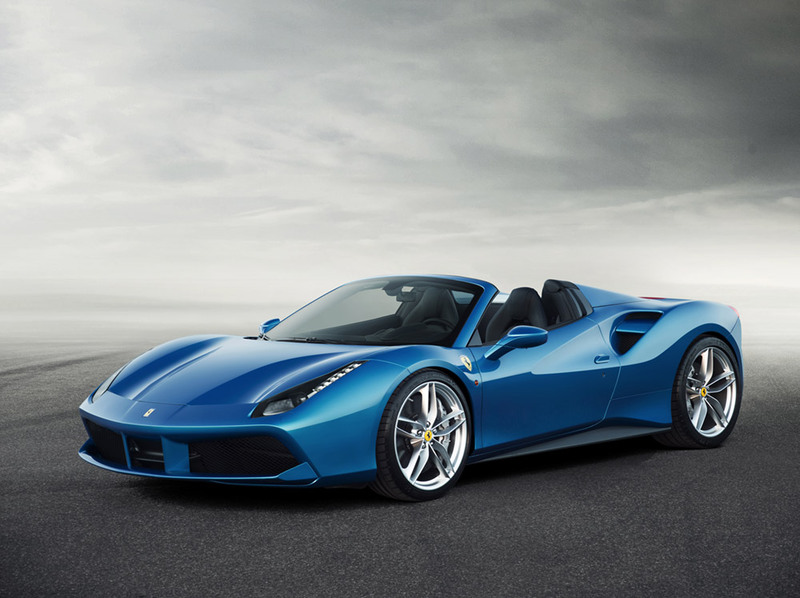 The world premiere of the 488 Spider will be at the Frankfurt International Motor Show in September but can be seen from today finished in the new Blu Corsa livery at www.ferrari.com. Beneath the engine cover throbs the 3902 cc turbo-charged V8 that debuted just a few months ago on the 488 GTB. Its performance levels are nothing short of extraordinary: a maximum power output of 670 CV combined with maximum torque of 760 Nm at 3000 rpm send the 488 Spider sprinting from 0 to 100 km/h in 3 seconds flat and from 0 to 200 km/h in 8.7 seconds. This is also an exceptionally efficient engine as it is not only 100 CV more powerful than the previous naturally-aspirated V8 but also has lower CO2 emissions. 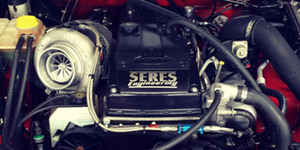 The turbo V8 has a unique character, delivering increasing levels of power right across the rev range, and completely eliminating the traditional turbo lag with a throttle response time of just 0.8 seconds. This is thanks not merely to components such as the turbos, but also to a sophisticated production process only made possible by Maranello�s leading-edge facilities which are shared with the Scuderia to foster the transfer of racing technologies to the road cars. In line with Ferrari tradition, this model has its own absolutely distinctive soundtrack created using solutions such as exhaust headers with longer, equal-length piping and a flat-plane crankshaft. It was also further enhanced by an in-depth study of harmonics and tonality at different engine speeds. The sound is seductive but never invasive when the top is dropped, with both volume and clarity increasing as the engine instantly responds to the accelerator pedal and revs rise, reinforcing the sensation of massive performance. This is also the most aerodynamically efficient Ferrari spider ever built, thanks to a series of complex aero solutions designed to guarantee optimal downforce whilst reducing drag, two normally mutually-exclusive objectives. Maranello�s engineers managed to achieve both goals simultaneously by introducing several innovative devices, including a blown spoiler and an aerodynamic underbody incorporating vortex generators. The air flow studies also took into account factors relating to in-car comfort. The electric glass rear wind stop can be adjusted to one of three positions to guarantee maximum comfort when the top is lowered. Fully lowering the wind stop allows the occupants to enjoy the engine soundtrack even with the roof raised regardless of the weather or driving conditions. 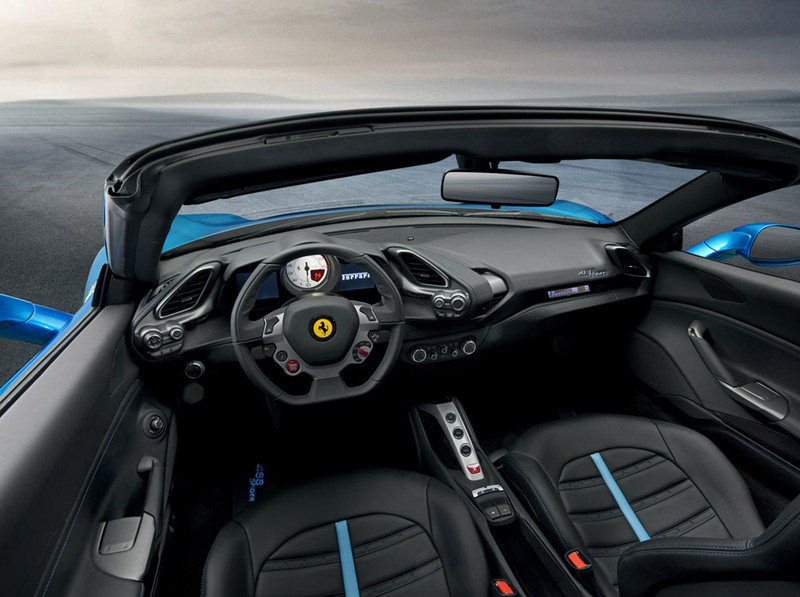 Designed around the concept of the retractable hard top, the 488 Spider has a spaceframe chassis made of 11 different aluminium alloys combined with other noble metals, such as magnesium, each one used in a highly specific way. This yields the same torsional rigidity and beam stiffness figures as the coup�, improving the chassis� performance by 23% over that of its predecessor. An extraordinary result, given that the roof is structural, that is only possible thanks to the expertise of the Scaglietti centre of excellence that engineers Ferrari�s aluminium chassis and bodies. The RHT folds backwards in two overlapping sections to rest flush on the engine in a very compact solution. The mechanism is exceptionally smooth and takes just 14 seconds for the top to fully retract or deploy. Working with aluminium is important not only in functional terms but also because, by tradition, it demands every detail be treated sculpturally to express the technical excellence of the project through its beauty. Cases in point are the flying buttresses which optimally channel air flows to the engine cover, the ribbing on the engine cover and the air intakes with sculpted mesh grilles which lend that area of the car a sense of incredible dynamism. To achieve this result the Ferrari Styling Centre completely reworked the aesthetics compared to the 488 GTB. The introduction of a sophisticated simulator, similar to the one used by the Formula 1 Scuderia, allowed the human factor to influence the car�s design from the earliest stages by giving the engineers instant feedback from the test-drivers long before the first 488 prototype was physically built. 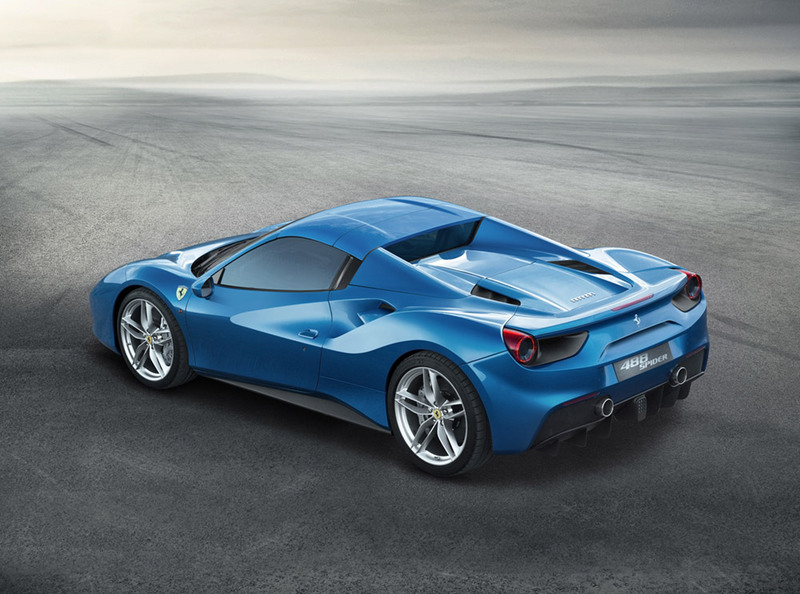 To make its dynamic behaviour even more engaging, the development team honed the car�s mechanical set-up in tandem with its electronic systems which are now fully integrated with the SSC2 Side Slip Angle Control System, resulting in 12% faster acceleration out of corners than the 458 Spider. Over all, response times are 9% more rapid than the previous Spider without any compromise whatsoever being made in comfort. The car�s design was adapted to efficiently meet the typical the demands of open-top driving and use. In fact, the Spider�s dynamic behaviour is effortless on even the most challenging routes. It is remarkably easy to drive on the limit thanks to flawless handling even on the most demanding of roads. World premiere of �Mission: Impossible � Rogue Nation� at the Vienna State Opera. Steel's Ford Falcon BA XR6 turbo runs a personal best time at Heathcote Park Raceway.